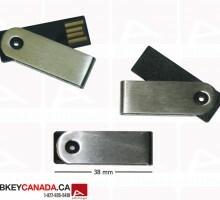 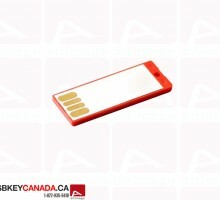 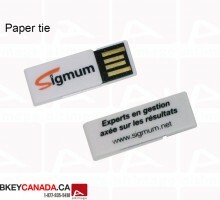 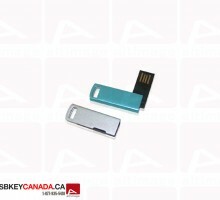 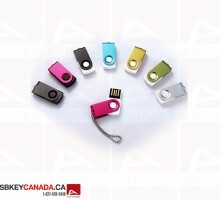 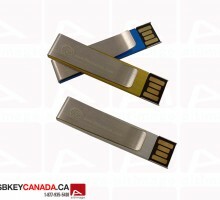 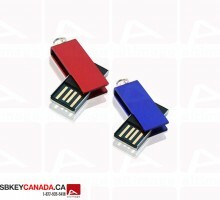 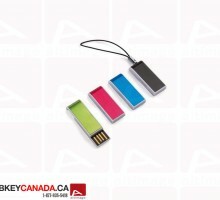 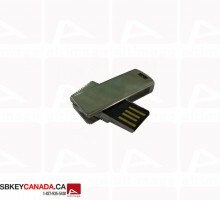 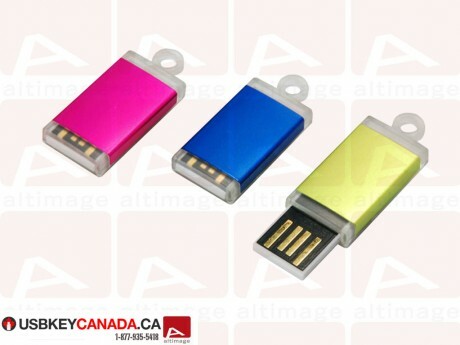 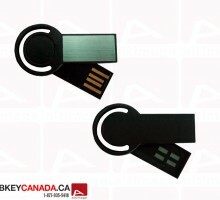 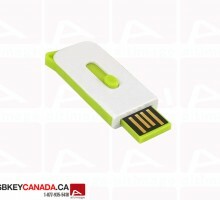 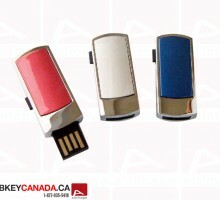 The ALT 627 USB Key is a plastic mini colored model. 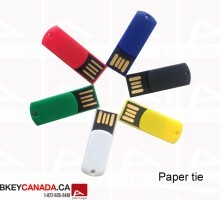 It exists in pink, yellow or blue. 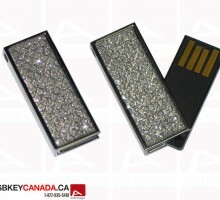 The bottom and the top of the Flash Drive is transparent. 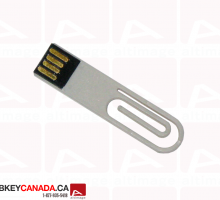 You have to slide a button to open the USB connector. 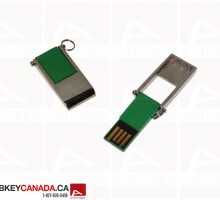 There is a hole on the top to attach a neckstrap or a chain.